Experience what it’s like to report and study in our nation’s capital. Dating back to 1966, the Medill News Service in Washington, D.C., allows you to study journalism in a fast-paced, action-packed city. During your time in D.C., you will be assigned to cover major news events, public policy and influential people, and you will have your work published. This real-world experience arms you with the confidence and connections that can help fuel your career after Medill. Because it’s been in existence for decades, the Medill News Service has provided a training experience for many Medill alumni now working as journalists throughout the world, creating a broad group of potential professional connections for you. In Washington, D.C., you gain valuable experience reporting on major news events, public policy and influential people. 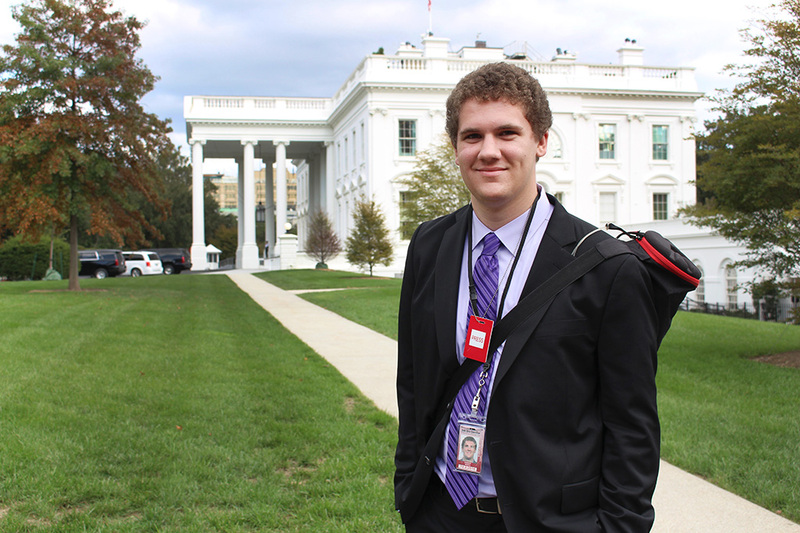 In D.C., graduate journalism students work as credentialed reporters on Capitol Hill. Some students spend one quarter in D.C., while others spend more of their time there. Undergraduate journalism students live in D.C. for a quarter and work as full-time reporters or public relations specialists as part of Medill’s Journalism Residency program. Undergraduate students may work as Medill on the Hill reporters, serving as mobile journalists reporting on events in and around Washington, D.C. They learn to find story ideas, report on them and produce and publish the content.